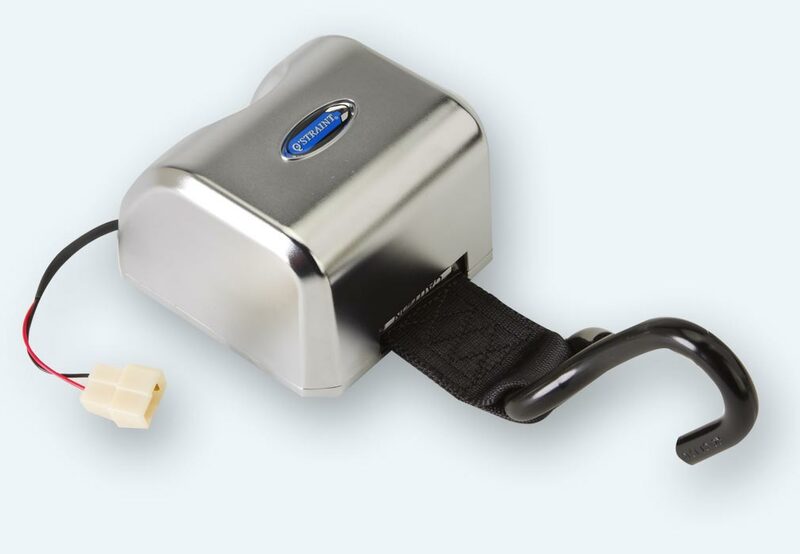 The QER (Q’STRAINT Electrical Retractor) is the world’s first 4M Front Electrical Locking Retractor. Electric retractors are controlled directly through the vehicle’s electrical system and can be used as front tie downs where there is limited space for an operator to complete securement. 1 year* limited warranty coverage. 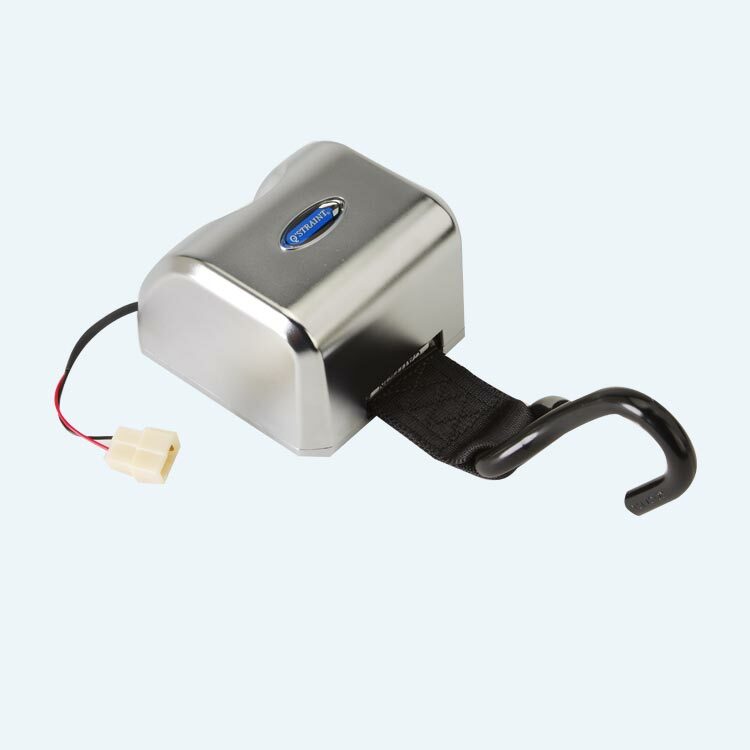 The electric retractor is easily integrated into the vehicle’s electrical system, involving just a single plug connection. Allows the safe and easy securement of the wheelchair and occupant to take place on flat ground as opposed to on a ramp. Durable casing to protect webbing and ensure product longevity. All QER Retractors undergo 50,000 Cycle Testing Operations, surpassing automotive seatbelt standards. With a minimum tensile strength of 1,500kg, QER-4000 exceeds industry standards by up to 20%. Ensures a quick and straightforward installation as only one bolt is required to safely secure the unit to the vehicle floor. A durable plastic cover option that helps to reduce weight is available in Europe only. Extra bar provides superior resilience and additional strength. QER Electrical Retractor with 9 ft. of webbing (2.8 Meters). 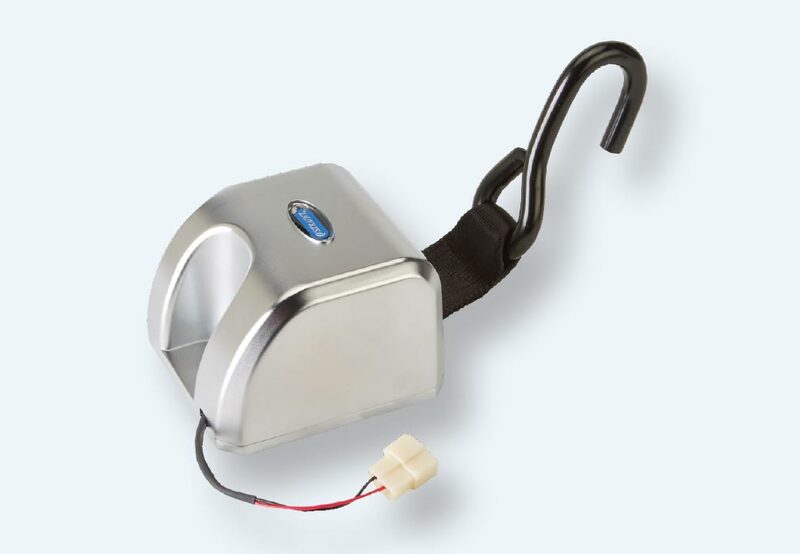 QER Electrical Retractor with 13 ft. of webbing (4 Meters). QER Electrical Retractor with 10.5 ft. of webbing (3.2 Meters).